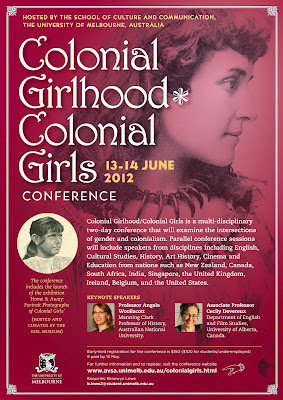 The poster for the Colonial Girlhood/Colonial Girls conference is now finished. Kristine Moruzi and I are very excited to be hosting so many people from around the world whose work we admire in Melbourne in June. Our keynote speakers are historian Professor Angela Woollacott from the Australian National University and English scholar Associate Professor Cecily Devereux from the University of Alberta, Canada. Professor Devereux's lecture will be a free public lecture on the evening of the 14th of June from 6.00pm in Elisabeth Murdoch, Theatre A, at the University of Melbourne's Parkville campus. 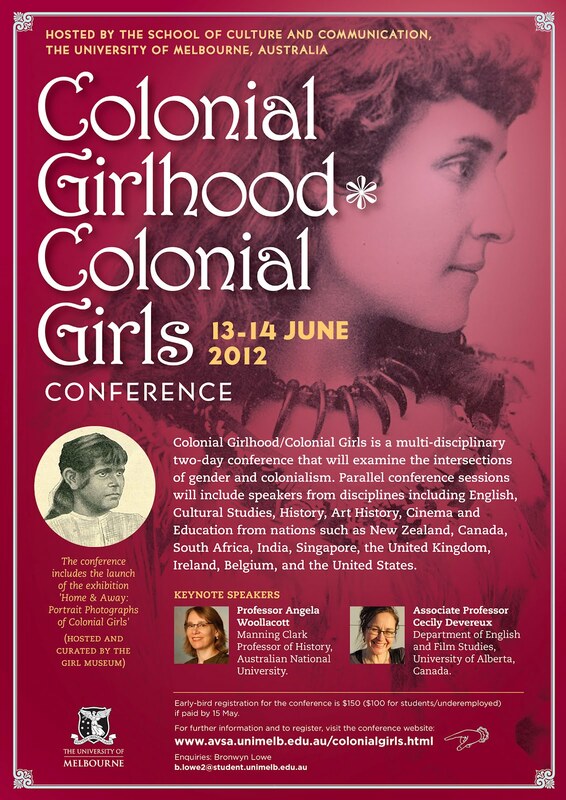 The talk is entitled "Fashioning the Colonial Girl: ‘Made in Britain’ Femininity in the Imperial Archive". Registration is now open for the two conference days. We have a conference site ready with further details about the event and a link to our secure registration site.